Jews in East Prussia – Page 8 – Research and Teaching about the Jewish life in the former German East Prussia, that is today divided in Poland, Russia and Lithuania. Help a landmark to return. 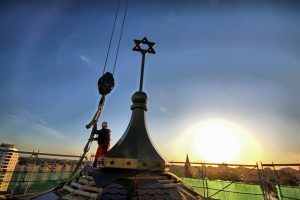 Join the efforts to finish the rebuilt of the Synagogue of Königsberg in Kaliningrad, 80 years after the demolition, you can help…..